The following story was written by Michaela, my little sister. The Big Fish in the Sea. We start our normal routine, dipping kite baits and then throwing the cast net for some live chummers, before looking for some pinfish and our final target, the big fish in the sea. It seemed like just a normal day at sea, catching some sun, listening to music and "patiently" waiting for a fish to bite. Little did we know it would go down as one of the most memorable days of fishing history! Helium Balloons used for low wind kite fishing. My friend Wendy, B, Leo, and I started setting up the kites, with giant helium balloons because there was little wind, as well as putting some bottom rods out. We were fishing green water, but there was current! After everything was finally set up the only thing we could do was sit and wait. After a while of waiting the emotions of the boat members started to come alive, my rod had gotten a bite! My heart was racing and all I could think of to do is reel, something I had done many, many times. Something was different, I got into my fishing belt and did the motions that I had done for so long, pull up slowly, and reeling down quickly, making sure to keep the line tight and the fish's head turned toward the boat. 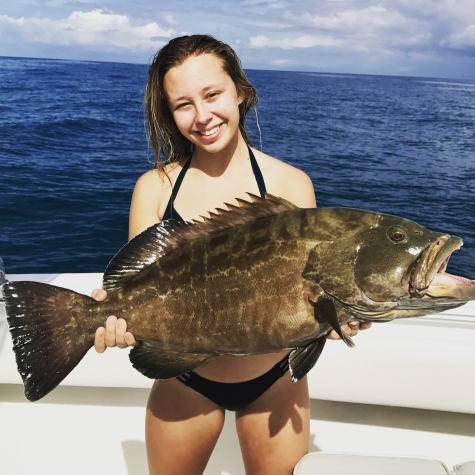 Black Grouper Surprise, too soon! Fish after fish after fish after fish everyone in the boat was either waiting for a fish to bite, watching the kite, or reeling in an epic treasure! It must have been 12 different fish that we caught over the time we were out. Black fin tuna, grouper , bonita, sharks, a king fish, and several others who got away. All for the love of the experience! Although we might not have got the biggest or the best fish in the sea, the trip was memorable for the fun we had while catching them. Although I came home burnt and tired, I would do it again every single time. That's all for now, see you again next time! oh! 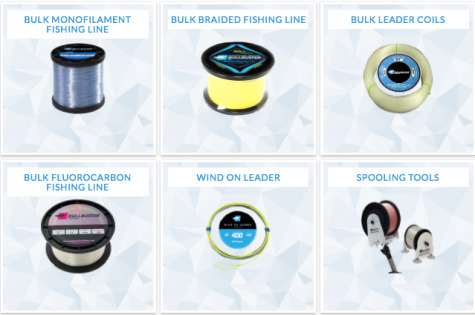 and remember, bullbuster fishing lines keeps you tight!